The release of the WikiLeaks cables sent Hillary Clinton's team scrambling to do damage control. Dayo Olopade talks to State Dept. officials about their efforts to step up cybersecurity. Two days after what the Italian foreign minister called “the 9/11 of world diplomacy,” the State Department’s counteroffensive was in full swing. Secretary of State Hillary Clinton had launched a frantic damage control operation, reaching out to world leaders whose feathers had been ruffled by public disclosure of American diplomats’ blunt private assessments of them. Calls went out across the globe to atone for what Clinton termed “an attack on the international community." But here on the sixth floor of State Department headquarters, in the office of eDiplomacy, the atmosphere was comparatively calm. Here, a team of 60 is hard at work modernizing the way American diplomats talk to each other confidentially. Here, cables of the sort currently wreaking havoc among America’s allies and enemies alike no longer exist—replaced by a highly secure system dubbed Diplopedia, by which ambassadors and their staffs can compare notes, pass tips—and yes, offer withering reads on the objects of their diplomatic entreaties. Of course no system is fool-proof, and it’s hard to stop an inside job—the working theory of how State’s cache of sensitive cables wound up in the newspaper. But the leaders of the eDiplomacy initiative are confident their project will make the department’s internal traffic far more secure. "Our security gurus have spent a ton of time making sure that system is buttressed, and I don't know we've had many attacks. That is our firewall against the outside," says Richard Boly, director of eDiplomacy. Today Diplopedia, which is accessible only from secure State Department servers, has nearly 13,000 articles created by 4,000 employees. It hosts unclassified pages titled “Assignment Iraq,” “Keeping Your Principal Informed,” Crisis Management” and “A Foreign Desk Officer Survival Guide.” Pages on another internal site, “Communities,” offer in-depth coverage of regions, embassies and topics of the kind transmitted over official cables. One community page, “Japan Economic Scope,” provides daily updates on “Business and Energy” and “Politics and Reform.” "It’s incredibly intrapreneurial and entrepreneurial at the same time,” says Raina Kumra, a senior new media adviser for State. "Our security gurus have spent a ton of time making sure that system is buttressed, and I don't know we've had many attacks. That is our firewall against the outside," says Richard Boly, director of eDiplomacy. On Monday, as news of Wikileaks rocketed around the department, a page popped up on Diplopedia offering guidance on how to handle the fallout. The page, seeded by the eDiplomacy team, includes the unclassified situation reports and other resources, including outside web links to Wikileaks, says Boly. "It's a place where you can point people. Because it’s a wiki, if someone finds something new, they can add it." To get an idea of how the office is moving diplomacy into the 21st Century, compare the 1979 State Department cable (released by Wikileaks) parsing the “Persian psyche”—publicized in the WikiLeaks explosion—with the online interface on Haiti disaster coordination. The Diplopedia page for Haiti, created within hours of the January 12, 2010 earthquake, allowed State employees to understand country clearance requirements, the training needed to help Americans evacuate, and allowed donations to the Red Cross. The eDiplomacy team wants to allow diplomats to communicate freely—perhaps not with the Wikileaks audience, but with one another. Internally, Clinton has insisted that employees use the online “Sounding Board” to advocate for changes in department protocol. The system—not unlike a “311” number for municipal complaints, has produced solutions, from a new system for locating phone numbers around the world to a grassroots movement to allow agency blackberries to snap photographs. “Secretary Clinton is a big proponent of what we’re doing," says Burton. “Her reaction to the Wikileaks has been angry but very responsible. They haven’t clamped everything down.” "I don't see security and openness as mutually exclusive," says Boly. "Should the person who gets struck by lightning be more fearful of lightning or less?" Still more updates to State communications and intelligence sharing are on the way: "The Corridor," an internal social network like Facebook or Linked in, will allow diplomats to see where their work histories and postings overlap. “So often, you’re standing in an elevator with someone who worked in Columbia and you need their expertise, but you don’t even know it,” says Kumra. Clinton's "Virtual Student Foreign Service" puts the work of 79 embassies from Iraq to China in the hands of American college kids. The irony in all this is that these initiatives are meet the very creed WikiLeaks’ embattled leader, Julian Assange, professes to believe in: that open governments are better governments. 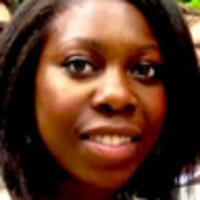 Dayo Olopade is a political reporter for The Daily Beast and a Bernard Schwartz Fellow at the New America Foundation.